What a Great Area 2 Convention! Did you think a moment (or longer) of what you took away…friendships renewed and more time for exchange of ideas, for sure. As those of us on canes were first to leave for the stage, someone said, “our Cane Chorus” and, with a ready quip, Carol Green said, “Arcane Chorus.” If you notice how Rhode Islanders pronounce the word “Our” as “R”, you’d understand her double entendre. Yes, we are older, but hope also better. Can you teach an old dog..? At Craft class I learned at least 2 new things worth considering. Steve Tramack said he put out blank sheets of paper to be taken by members Write one item that they liked about what the director was doing; write one item that you thought would improve the rehearsal. No one was to sign her name. I thought it was a good idea so that everyone would give input, not just those who easily expressed their opinions or those in leadership positions. Everyone’s opinion is important. In Sandi Wright’s class – Putting the Motion in Emotion – I enjoyed listening again to how hand gestures and facial compliments could add to the meaning of the lyrics; and watching the film of famous singers such as Bette Middler. At the Saturday night quartet performance, I enjoyed watching the Queen ‘THING’ performing expressively with her hand the crown on her wrist! 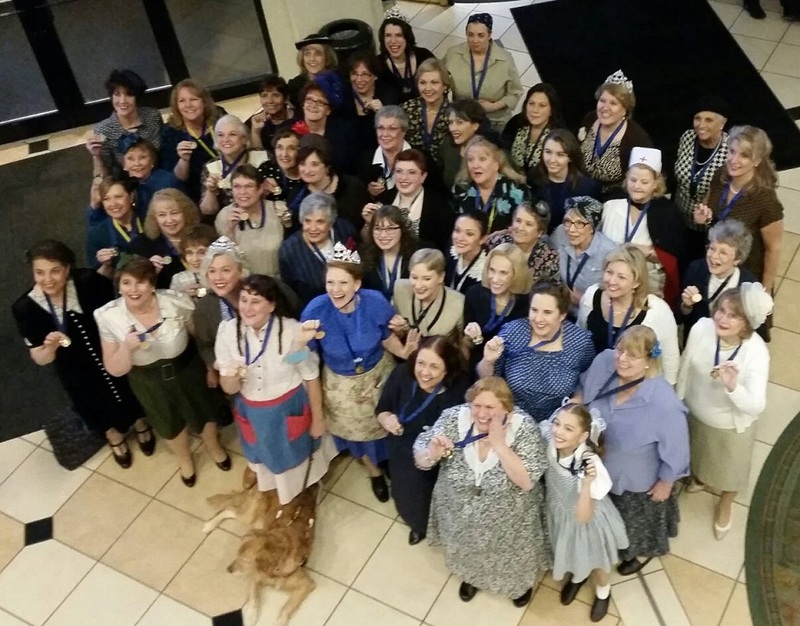 Harmony Heritage had so many members and friends working to make this Convention memorable. Kudos to our first time HH singer and Old-Time TV decorator Cheryl Copeland-Lewis and to the excellent first time Director for the whole Area 2 audience, Bob O’Connell. Could you tell enjoyed his job immensely? “What a Dream Can Do”! We have been singing at Senior Citizens residences in May and June, and will be singing at the Pawsox games twice during the summer. We were pleased to receive the Betty Costellow small chorus award for most improved singers, but if you have any suggestions to help us recruit new members, please let us know! 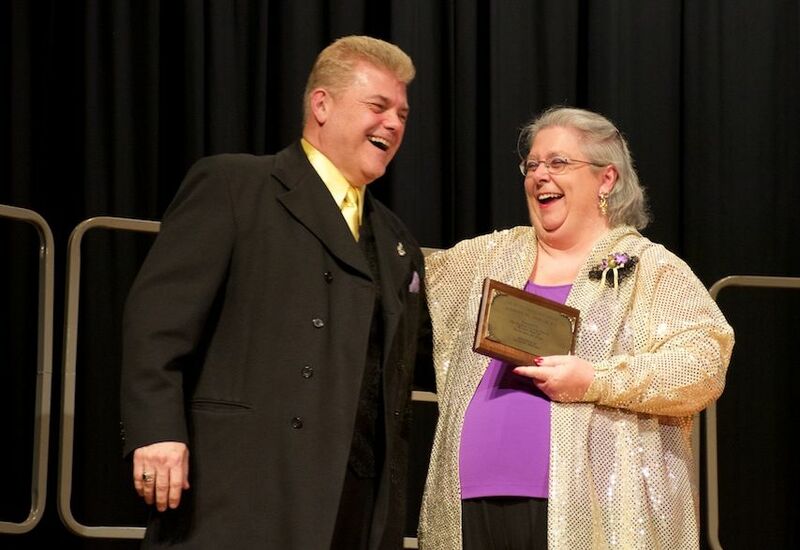 Harmony Heritage Chorus, a proud chapter of Harmony Incorporated, will host the international organization’s 2015 Area 2 Contest and Convention (AC&C). 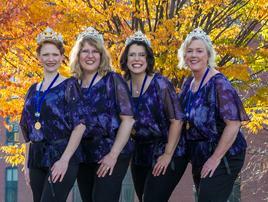 For four days in April, the chapter will join other ladies’ choruses and quartets from all over the Northeastern US, Quebec and part of Ontario in an all a cappella competition and celebration. The event will take place from April 23-26 at the Crowne Plaza Hotel in Warwick, RI, and the contests will be held on Friday and Saturday afternoons at the West Warwick High School. Choruses and quartets with qualifying scores will go on to compete at the International Contest and Convention (IC&C) to be held in November in Verona, New York. 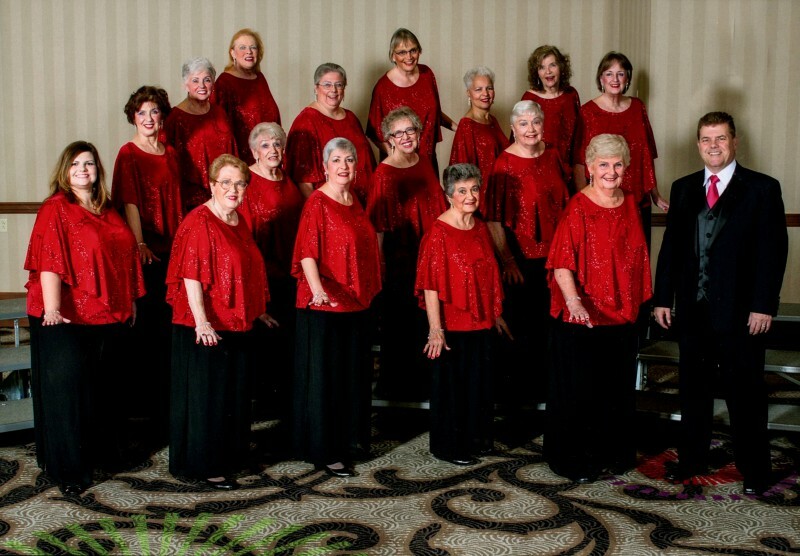 Harmony Heritage Chorus, under the direction of Bob O’Connell, has members hailing from all over Rhode Island and Southeastern Massachusetts. The organization is a local chapter of Harmony, Inc., an international organization whose purpose is to empower all women through education, friendship and a cappella singing in the barbershop style. . 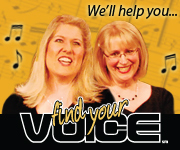 The chorus holds open rehearsals on Tuesday evenings from 7:15 – 9:45 PM at St. Paul’s Episcopal Church on 50 Park Place in Pawtucket, RI. Visitors are welcome to come and listen, and women are welcome to join chorus members on the risers.